We are pleased to announce the launch of new microsites for Victorian Plumbing targeting top European markets such as France, Germany, and the Netherlands. Victorian Plumbing started in 1999, specialising in original and antique bathroom fixtures and fittings. In 2003, they expanded their range to include many well-known brands, and now offer products ranging from the ultra-modern to more traditional ranges. With a showroom in Formby, Merseyside, customers can also purchase through their catalogue and from their online eCommerce shop. 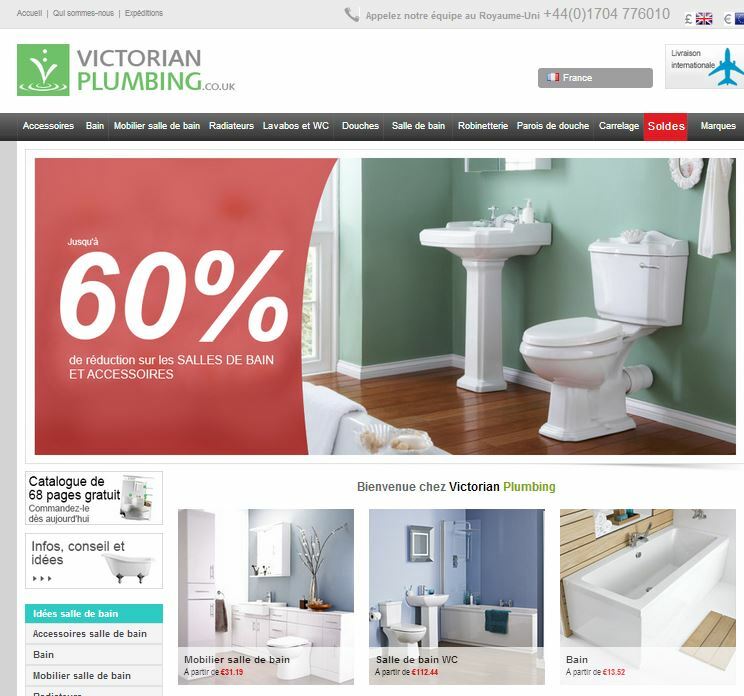 Victorian Plumbing used our microsite creation service to create landing pages in 10 languages, as well as additional pages providing information about the company and shipping details. The microsites welcome visitors from other European markets, acting as portals to the English eCommerce site. The pages were localised by professional translators in order to create content that sounds natural to readers, and all translations were proofread by a second native linguist. Our skilled Project Management team not only created bespoke microsites, but also researched ideal keywords for onpage optimisation, with the additional provision of keywords to Victorian Plumbing for Analytics campaigns. Once the research had been performed, the landing pages were optimised for 2 keywords by including these in the body content, meta description, page title and H1 tag content. Following this week’s news about Google’s penalisation of certain types of offpage SEO, ensuring your onpage SEO is top-notch has become absolutely vital. Having up-to-date, well-written content on your site, as well as optimising your pages as much as possible, are good strategies for getting your pages indexed in Google, which is why our Localisation Level packages include onpage optimisation, as well as white hat offpage optimisation. Contact us for more information. 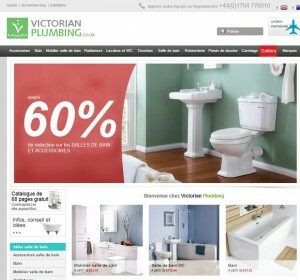 Victorian Plumbing microsites are also available in: Belgian French, Flemish, Norwegian, Polish, Spanish and Swedish.